Wasn't it just the last day of school and I was jumping for joy at a summer filled with time and energy? Are you sure it's that month where we start back at school? I guess I should probably come down to reality, huh? Multi-tasking at it's finest ladies (and some gents) That's right.. 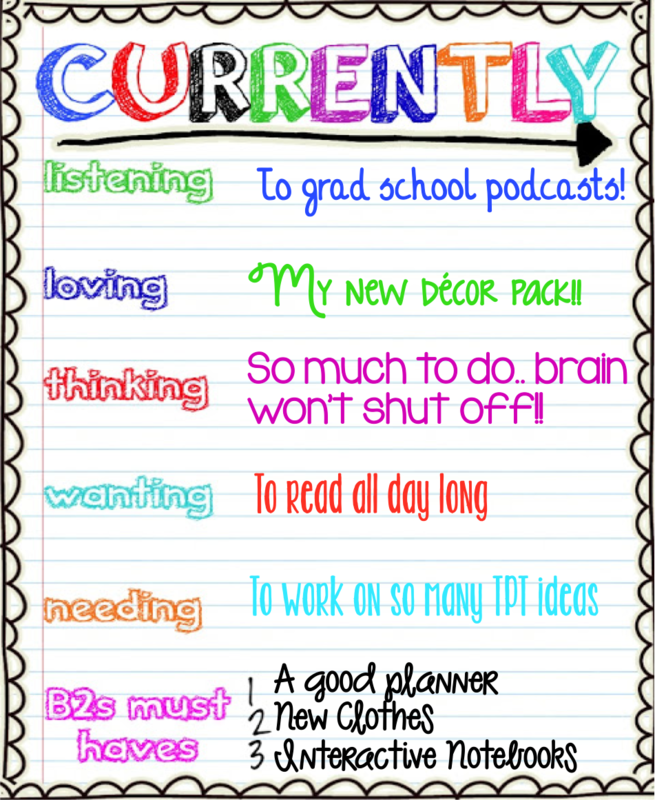 I am blogging while listening to podcasts for grad school... REBEL! Anybody else out there keep a notebook by their bed? I swear I cannot shut my brain off at night. I come up with so many ideas and my to-do list is every growing during that time when I should be resting! My solution is to right it down so I can try and relax. 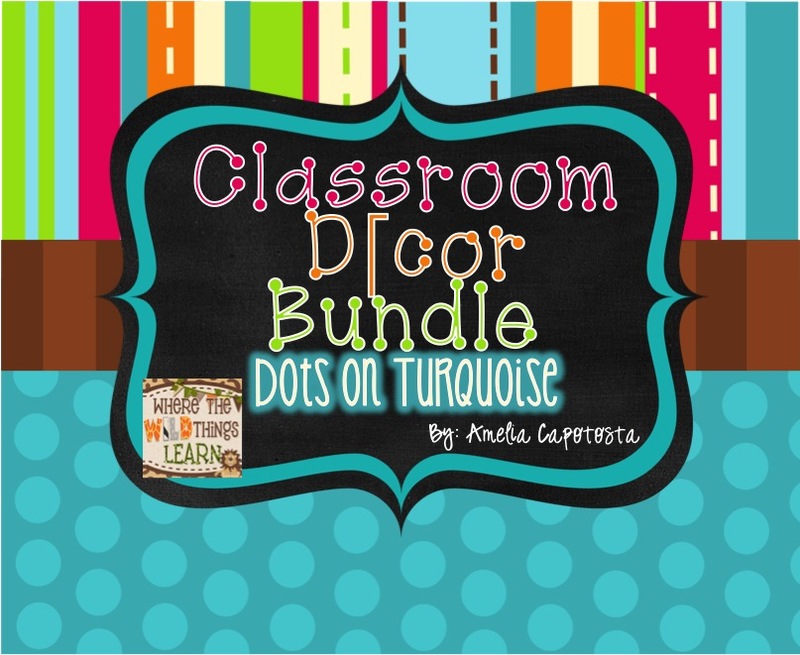 I have a HUGE list for ideas for my classroom and TPT products, and I have barely made a dent in it this summer. I am trying... really trying! 1. Yes, I always need a good planner and I haven't found that "perfect" one yet. I can't justify spending the amount on an Erin Condren one even though they are beautiful and drool worthy.. hubs would kill me! I like A Modern Teacher's, and a few others, but I'm tossing around the idea of just designing my own and binding it! We will see shortly. 3. 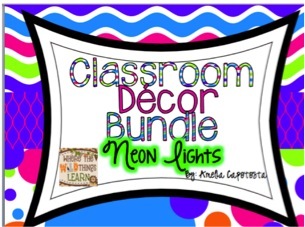 Have you checked out Erin over at I'm Lovin Lit's interactive notebooks? Can you say OBSESSED. yes, I am obsessed with these two wonderful products! I am giddy with excitement reading through them and planning to use them this school year. If you haven't already added this to your wishlist or purchased it.. DO IT NOW! Yes, I am telling you because they are that wonderful :) There's a reason they are a top TPT seller, people! 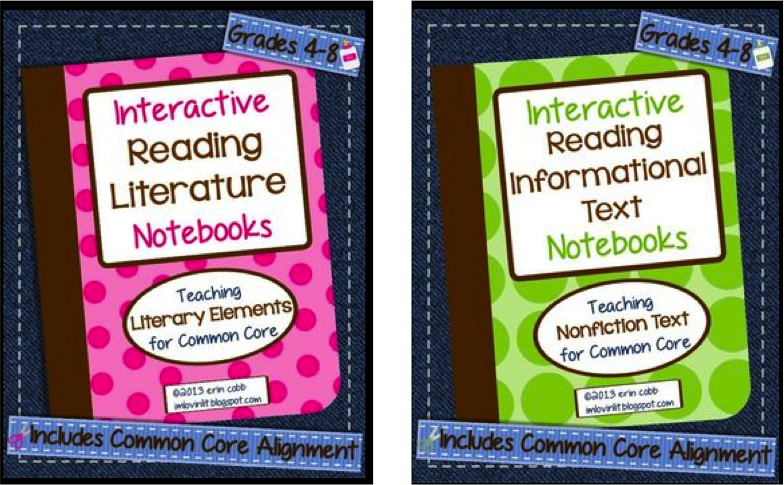 I need to check out those interactive notebooks! They look so great! :) Anything interactive is sure to get the students in gear! If you find a way to shut your teacher brain off, let me know. My brain has been going nonstop since July. It's bittersweet but I'd like to have some normal thoughts again. haha! I love your yellow, green, and blue decor. Adorable! I would love to read all day too. I haven't seen the interactive notebooks either. I'll have to check them out. Thank you so much! 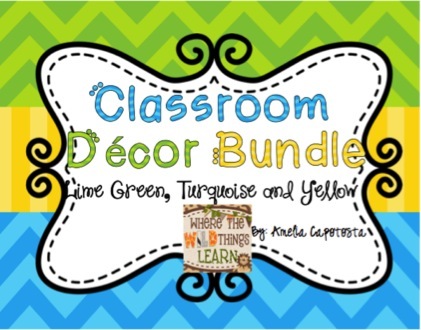 The colors are so soothing in a classroom :) Definitely check them out.. they are wonderful! Sounds like you have had a busy summer! I got the planner from a Modern Teacher and LOVE it! You can customize it even! Enjoy your grad school podcasts! It has been such a busy summer!! I have her planner in my wishlist.. hoping there will be a TPT sale that I can get them during :) Thanks for the love! It sure is!! Thank goodness for my little helpers :) I think I finally have decided to go with A Modern Teachers' Planner! I am going to print, laminate the front cover, and spiral bound it! :) So glad you found me, too! I'm your newest follower! I teach 5th grade and I love that you are a volleyball coach! I played in college... I coach softball now. I got an Erin Condren planner for my birthday- my husband thought I was nuts when I told him that was what I wanted lol. So glad I found your blog- love the design!